"CACH (Campaign Against Canned Hunting) is a global NGO dedicated to eradicating the barbaric practice of canned lion hunting, and its spin-offs." Don't forget to get your copy of wildlife conservationist Richard Peirce's new book Cuddle Me Kill Me. This is an excellent investigative account of the captive lion breeding industry and all its offshoots in South Africa. French CACH representative Julie Lasne prepared this educational video after the recent March for Animals in Paris. As always lovely news from Jade and photos from Sophie. As you will see below the cub's lives have settled into a routine and so we leave them to their new, wonderful life. Because hunting involves cruelty, killing and adverse impacts upon biodiversity, you’d expect hunting to be heavily regulated and monitored. And you’d expect animal protection to be lightly regulated, to encourage public participation. More news of the cubs, Yame & George. They have really grown up so much since their arrival in South Africa. We thank Kevin Richardson for giving them a forever home. But a truly big thanks to Jade for the wonderful care and attention she gives the boys, and for keeping us updated every month. 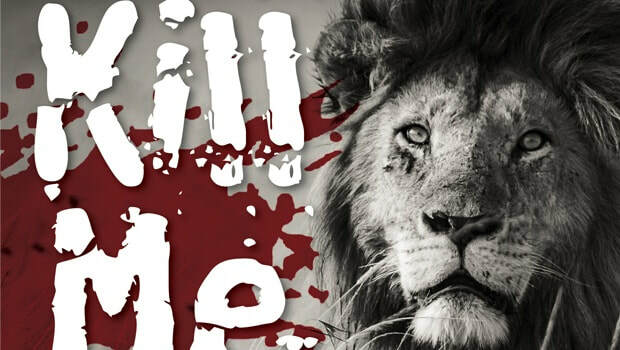 This excellent 50/50 TV program exposes the canned lion hunting industry in South Africa. From cub petting to the lion bone trade, which threatens our wild lion populations. We would really like to thank Jade for sending us these inspiring and exciting reports on the progress of Yame & George. As always the boys sound like they are having the time of their lives. That is thanks to all those amazing people who kindly donated to their relocation from Spain to South Africa. I cannot believe how big Yame & George have grown. Wow, what are you feeding them? How the wealthy live and have licence to kill. Captain Paul Watson of the Sea Shepherd has this to say about the arrogance of hunting. Press statement on the illegal hunt of a collared lion at Antionette Farm in Gwayi Conservancy, Hwange District on 1 July 2015 by Bushman Safaries professional hunter, Theo Bronkhorst. Yame & George have grown so big and we thank Jade, their carer, for her report and Kristen for sharing her photos with us. The harsh truth is: when you’re cuddling a lion cub or bottle feeding one, you’re directly funding the canned lion industry. Building a new wildlife sanctuary from scratch is a daunting task. We have done it before in the Kalahari, so we know what we are in for. Our story begins here with the arrival. 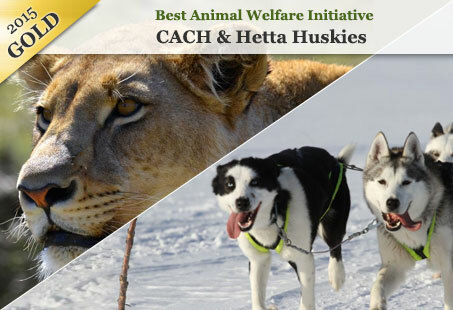 The Best animal welfare initiative category is awarded to a tourism business or organisation leading the way in their approach to the care, well being and dignity of animals. Regulatory capture and the hunting fraternity. The consequences of allowing wealthy foreign hunters to pervert conservation policies and move the conservation debate away from true fundamentals, will hasten the destruction of the African continent’s priceless, irreplaceable wildlife heritage. Then what? 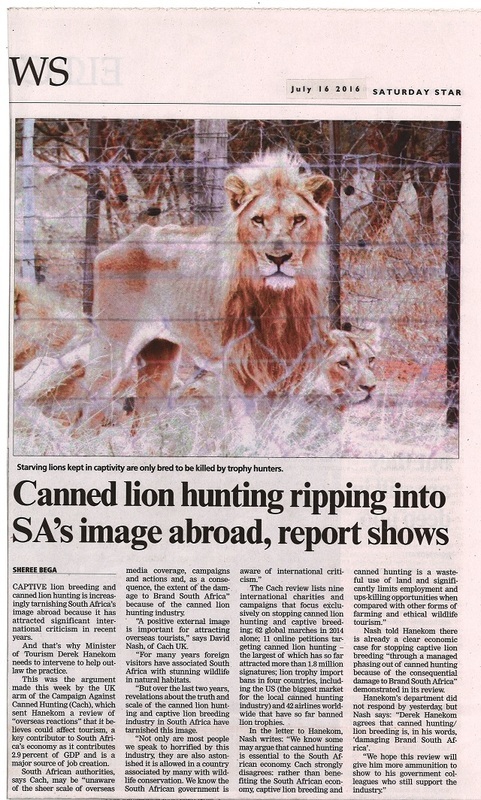 Interesting article about South Africa's shame - canned lion hunting. A legal analysis of the comoditisation and exploitation of lions in the commercial lion industry of South Africa. 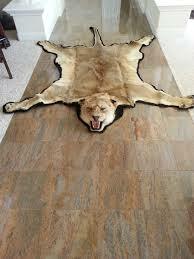 Lions are in serious decline across most of the African continent. According to the most recent International Union for the Conservation of Nature (IUCN) Red List assessment, as few as 20,000 lions remain. The increasing trade in lion bones and other body parts is recognized as a major threat to existing lion populations, alongside habitat and prey loss, human/wildlife conflict and poorly regulated trophy hunting. eNCAlive we debate the merits and dangers of wildlife businesses. How is canned hunting contributing to South African tourism? Are private game parks big enough to accommodate wild animals? Do patrons follow the rules? We are thrilled to report that the following Airlines will no longer carry the trophies of Elephant, Rhino, Lion and Tiger. "Brussels Airlines has modified their Cargo policy to ban the transport of any hunting trophies across their entire network with immediate effect." "This is to inform you that the embargo is placed for carriage of hunting trophies on Qatar Airways flights with immediate effect." "We have had the policy not to carry wildlife trophies since we formed Jetlines." Virgin, BA and United and American Airlines have decided to no longer carry trophies on the airlines. In an article published in the Sunday Times a week ago [May 31], Edna Molewa, the minister of environmental affairs, admonishes conservationists to “put the lid on” what she believes are unfounded claims of canned lion hunting in South Africa that are “damaging our reputation for species conservation”. Read this very good article in Projects Abroad by Samantha Evans. Do not become part of an industry whose whole business model is based on cruelty. Can Kevin Richardson teach us about ethical conservation - and ourselves? The first time I saw one of Richardson’s videos, I was transfixed. After all, every fiber in our being tells us not to cozy up with animals as dangerous as lions. When someone defies that instinct, it seizes our attention like a tightrope walker without a net. I was puzzled by how Richardson managed it, but just as much by why. Was he a daredevil with a higher threshold for fear and danger than most people?